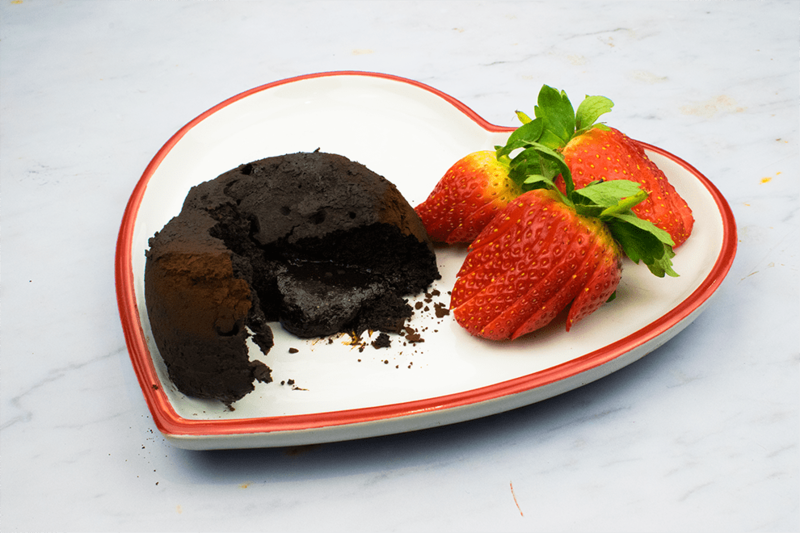 Baking on Slimming World can be just as much fun as it is when you’re making super high syn treats, you just need to have the right recipe! 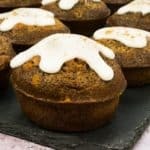 These 1.5 Syn Orange Drizzle Cupcakes are my latest Slimming World bake and I’m super pleased with them. They’re perfect for a taster evening or as a low syn sweet treat to get you through to dinner time. 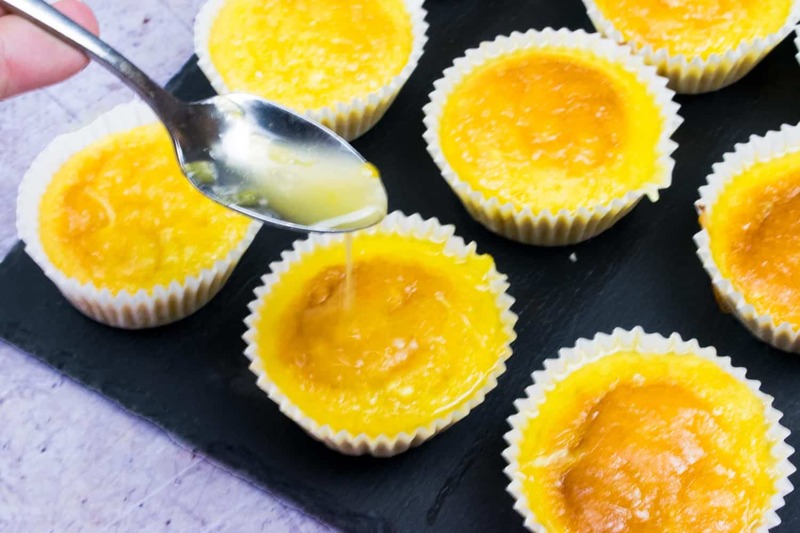 Made with fresh orange juice and zest, they’re simply packed with flavour and the drizzle gives you the most delicious sticky sweet texture. All in all, I’m super pleased with how these have turned out and hope you enjoy them as much as I do! 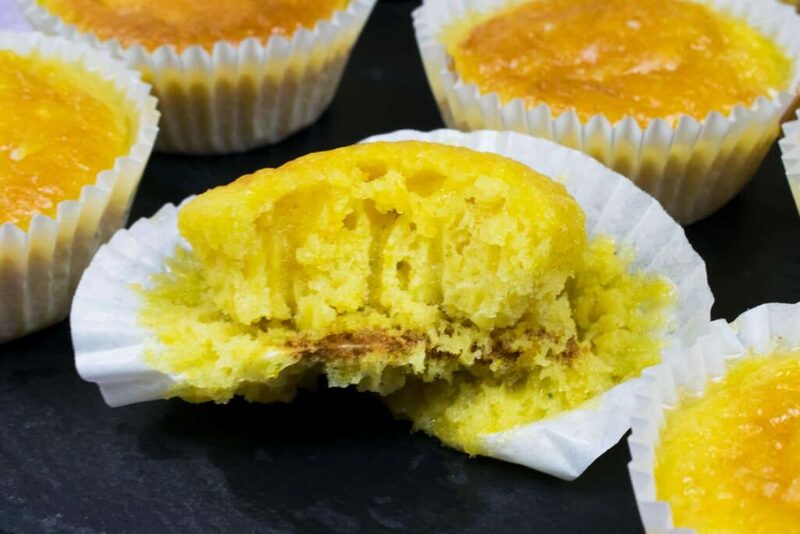 Whether you’re looking for the perfect recipe to take to your Slimming World taster evening, or you’re making yourself a batch of these 1.5 Syn Orange Drizzle Cupcakes, you’ll only need about 20 minutes to get them all prepared! They are super easy to make and only need you to have a muffin tray and some cupcake cases! I use a 12 hole muffin tray (find one on Amazon here) which makes these wider but more shallow, but you could easily divide the mixture into a 24 hole muffin tray too for mini cupcakes. The recipe may even stretch further if you do that making each cupcake lower syn! I’ve gone for plain white cupcake cases but if you’re baking for an occasion you can find loads of different styles and colours on Amazon here. All of this adds up to make a mixture that is 29 syns in total. Divided between 20 cupcakes this makes 1.45 syns per cupcake, which can be simply rounded up to 1.5 each. If you were to make more cupcakes, or fewer, from this mixture you would simply need to divide 29 by the final number of cupcakes. What Sweetener Should You Use? 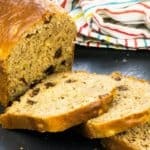 This recipe calls for 4tbsp of sweetener but there is so much choice out there it can be tough to know what kind to use. The first thing you should know, is that if you’re baking with sweetener then granulated sweetener is usually best. 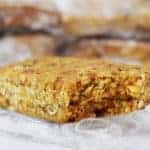 The powdered versions are often super sweet and highly concentrated, which means they can really throw the flavour of a recipe off, and they often don’t react with the ingredients in the same way as normal sugar would. With that in mind, I recommend using Sukrin:1 sweetener, which is what you’ll usually find me using in my recipes! So, what is Sukrin:1? It’s a granulated sweetener that can be substituted on a 1:1 basis for regular sugar. This means that if you’re adapting a recipe from a cookbook you can simply use the same amount of Sukrin:1 as the recipe calls for sugar. This makes it ideal for baking, particularly as it bakes in the same way that normal sugar does, so it doesn’t compromise the recipe as many other sweeteners do! You can buy Sukrin:1 on Amazon or from Sukrin’s website directly. 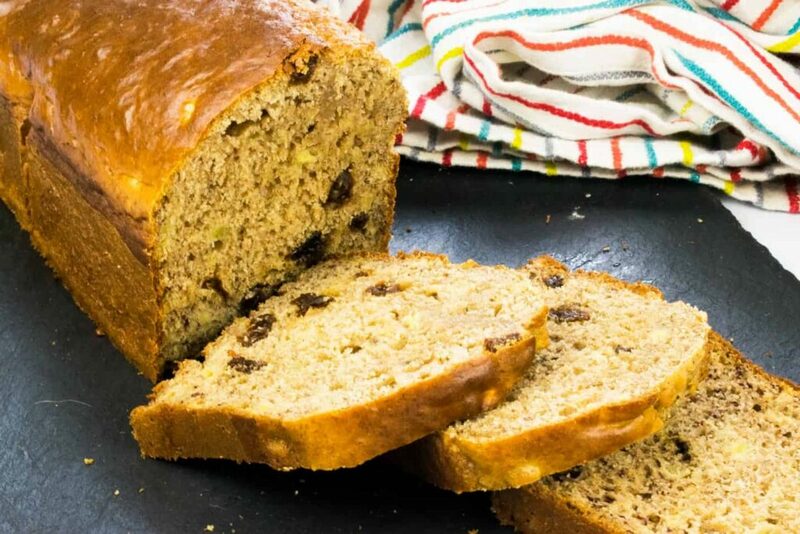 For this recipe you can use other brands of granulated sweetener, but always make sure to check the packaging and see whether you will need to add more or less compared to regular sugar. I love seeing when people make my recipes! So if you do make this Low Syn Caramel Apple Upside Down Cake you can email it to me or share it on Facebook and Instagram tagging @basementbakehouse on Facebook or @basementbakehouse_sw on Instagram! I’d also love it if you shared your baking in my Facebook group too, you can join here if you haven’t already. Love This? 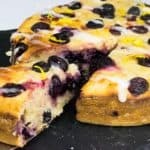 You’ll Love These Slimming World Friendly Bakes Too! 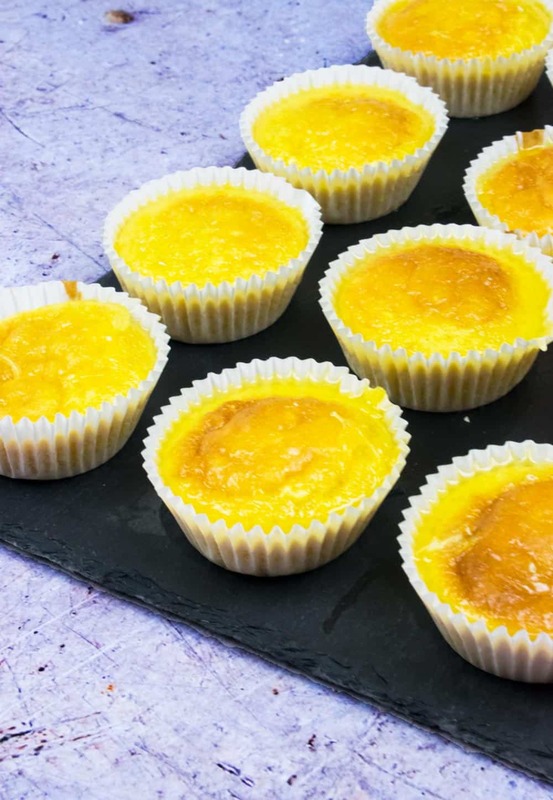 When it comes to baking on Slimming World, you really don’t get any more simple than these 1.5 Syn Orange Drizzle Cupcakes and I hope you enjoy them as much as I do! 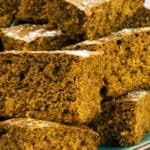 They will keep for a good few days in the fridge and can be frozen – although as with any cake freezing will most likely impact on the texture once they’re defrosted. 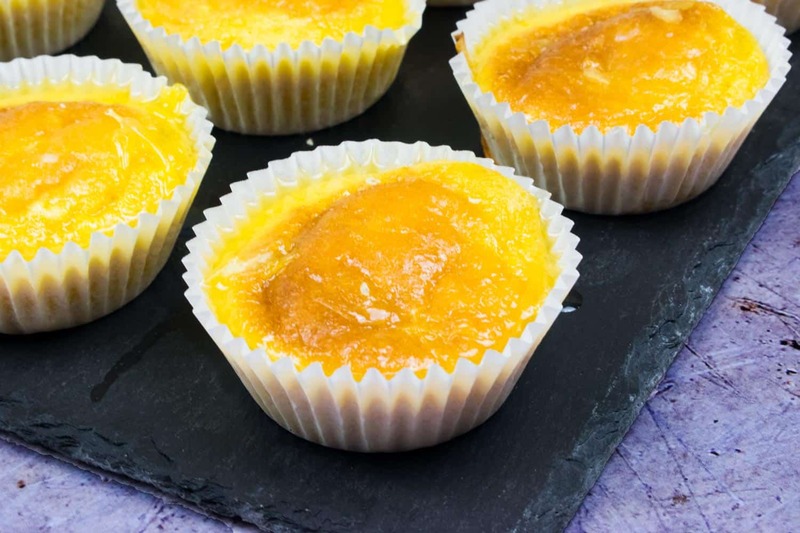 Delicious 1.5 Syn Orange Drizzle Cupcakes, perfect for Slimming World taster evenings or as a low syn sweet treat. Zest your oranges and then squeeze out 100ml of juice. Add the flour, baking soda, eggs, light spread, orange zest and half of the orange juice into a mixing bowl. Whisk by hand or using an electric whisk until smooth. Add the sweetener and whisk. Divide between your cupcake cases - if using a 12 hole cupcake tin you will need to do two batches. Bake for 10 minutes, or until the tops of the cupcakes are golden brown. Allow to cool for a few minutes, and then use a fork to prick the top of each cupcake. 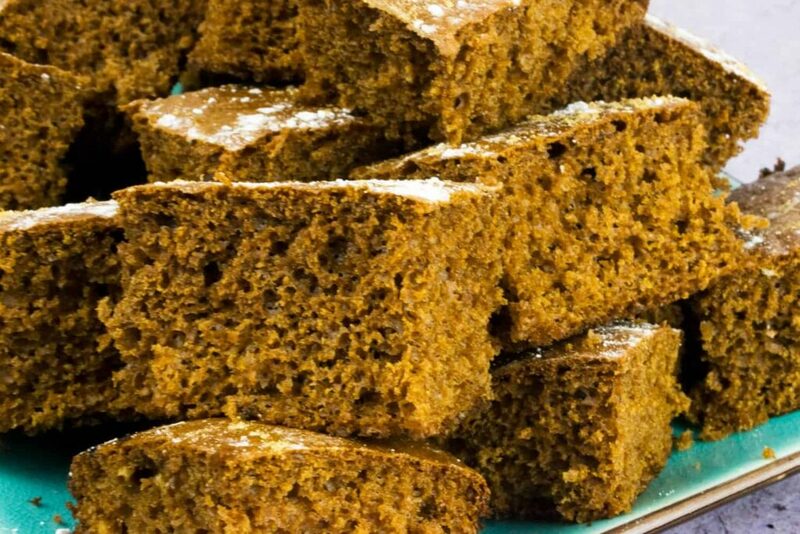 This allows the orange drizzle to soak into each cake. Mix the remaining orange juice with the icing sugar and divide equally over the cupcakes while they are still warm. 1.5 syns per cupcake on Slimming World when making 20 cupcakes. Full mixture contains 29.5 syns. Syn values correct at time of writing. Please do not screenshot this recipe as syn values change and you will have out of date information. 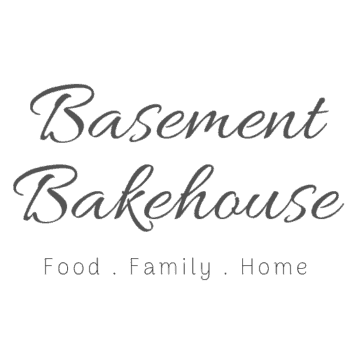 Copyright, Basement Bakehouse. 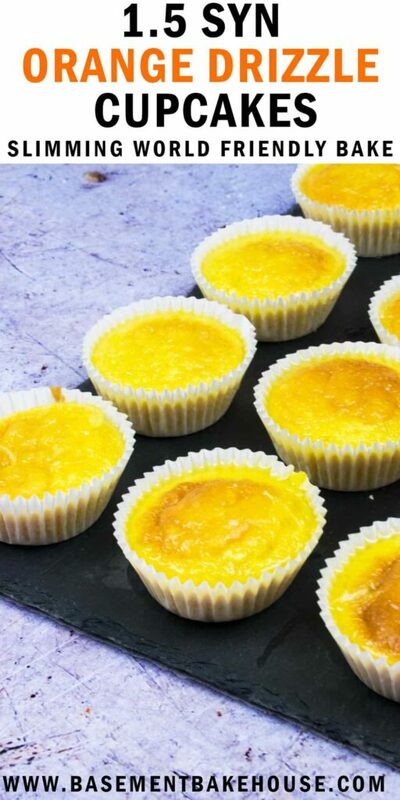 DON’T FORGET TO PIN THIS RECIPE FOR 1.5 SYN ORANGE DRIZZLE CUPCAKES FOR LATER!